Mini-Missions are amazing! Have you always wanted to participate in a medical mission but didn't have the time? Is the cost a concern? Come on a Mini-Mission! You will participate in 3 full days of clinic, caring for hundreds of patients, in half the time and for a great reduction in the cost. Mini-Missions are designed with you in mind!! You'll love the Haitian culture and head home knowing that you made a difference for Haitian families. You'll experience all that Haiti has too offer - but be careful, you may just leave your heart in this vibrant and diverse country. Come join IMR as we return to work with our Haitian partners and further build our bond with this beautiful population. 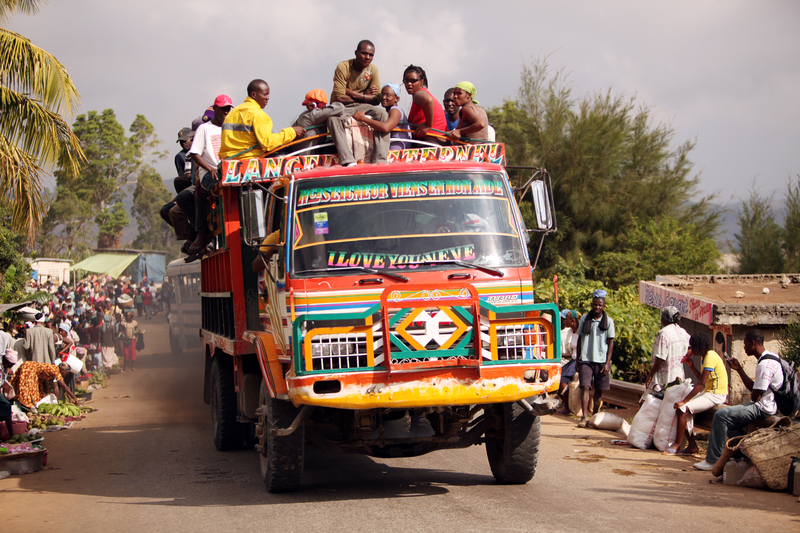 IMR has traveled to Haiti for medical camps more than twenty times since the 2010 earthquake. Haiti has made a remarkable move toward recovery in the last two years, but health care for the poor is still an overwhelming need. Although there has been an international effort to lend support since the earthquake, Haiti still remains the poorest country in the Western Hemisphere. This trip is one of the few where IMR holds clinics in an urban environment. Cholera, tuberculosis, malaria, acute illnesses, infectious disease, and diarrheal disease continue to plague the regions we work in and the new communities we add to each visit. We always have a high patient load in Haiti, and this trip will not be an exception. You will work in Port-au-Prince and surrounding communities, including some of the mountain villages. Our teams average more than 2,000 patients on each trip and see many tropical diseases including leishmaniasis, leptospirosis, lymphatic filariasis, and many large acute and chronic wounds. We also treat many acute illnesses, infections, and motor vehicle accidents. Women are particularly at risk in Haiti, with sexually transmitted diseases, personal violence, and pre-eclampsia common. Children are often malnourished, covered with scabies, and infected with parasites. Dental care is one of the greatest needs in our patients. We frequently partner with local medical and dental students and recent graduates to share knowledge and provide follow-up for our patients. You will arrive in Port-au-Prince any time on July 20. This is not a clinic day but arrive early - you will help organize bags, receive a briefing about clinic, and learn new skills that will be important to our patients. After a festive team dinner, it's off to bed to be ready for 2 full days of clinic. You may depart anytime on July 23 but if you can go later in the day, you may be able to have some additional clinic time. You will receive specific information regarding your arrival, meeting the team, and departure upon becoming an official member of the team. To make it easy, your transportation to and from the airport will be provided for you. You will purchasing your own international ticket for this trip. The team will stay in modest, comfortable accommodations. The primary hotel compound is gated, has private security, a wonderful restaurant, air conditioning, and a pool. Haiti is an excellent trip choice for families with younger children because of the accommodations. Modern buses or vans will transport the team to clinics each day. Small, open jeeps will occasionally transport the team to smaller villages. The highlight of your time in Haiti is in clinic! You will talk about the vibrant and boisterous crowds, significant needs of your patients, and the opportunity to make a difference upon your return home. There is ample shopping — hammered tin, beautiful paintings, edgy paper mâché vases, and lovely small carvings — from all over Haiti and the Caribbean. The shopping itself is exciting with rapid-fire bargaining and friendly competition among the sellers. Join IMR for a remarkable experience, a mere two and a half hours from the coast of Florida. You're venturing around the globe, have you considered extending your stay a few additional days to visit near by Dominican Republic? Join IMR on an exclusive three-day extension! Spend three perfect days in the unexpected tropical paradise of the Dominican Republic: a country known for its warm people, lush mountain scenery and pristine beaches. Explore the country’s mysterious caverns and lush subtropical rainforests; play in the sand on miles-long stretch of beach and dive into the underwater beauty of lively coral reefs. You and the team will fly into the Toussaint Louverture International Airport in Port Au Prince, Haiti and transfer to your hotel in Port Au Prince. There you will stay the night in your hotel and have a team orientation and dinner that evening. The required arrival to your hotel is 5:00pm. Airport transfers to your hotel will be provided to all volunteers, whether a group or independent flyer. Wake up early for breakfast at your hotel then depart for clinic! You can expect a high patient load in Haiti. You will work in Port-au-Prince and surrounding communities, including some of the mountain villages. Our teams average more than 1500 patients on each trip and see many tropical diseases including leishmaniasis, leptospirosis, lymphatic filariasis, and many large acute and chronic wounds. We also treat many acute illnesses, infections, and motor vehicle accidents. Women are particularly at risk in Haiti, with sexually transmitted diseases, personal violence, and pre-eclampsia common. Children are often malnourished, covered with scabies, and infected with parasites. Dental care is one of the greatest needs in our patients. We frequently partner with local medical and dental students and recent graduates to share knowledge and provide follow-up for our patients. Unfortunately, eligibility for the $200 savings on this trip is no longer available after Apr 23rd, 2019. Before Apr 23rd, 2019: YES! IMR will arrange your international flight on a "group" ticket at your request! YES - We need your help to take IMR supply bags internationally to Haiti – Mini Mission! Take 2 supply bags for IMR both ways to Haiti – Mini Mission. IMR Group Flight: In order to qualify for the IMR Group Flight, you will need to reach 50% of the required donation on or before Apr 23rd, 2019. Early Bird Special: A discount of $200 is awarded to team members who raise / pay 50% of the required donation on or before Apr 23rd, 2019.